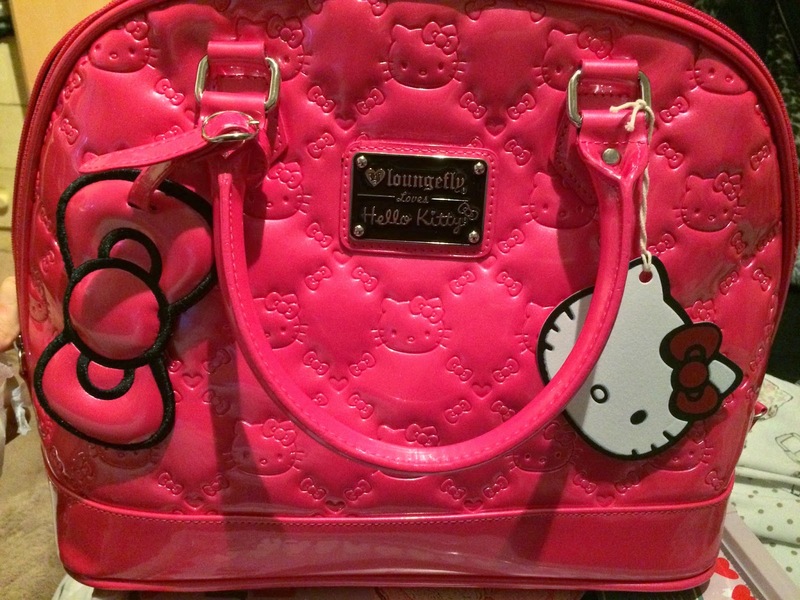 So, I have been using my Loungefly X Hello Kitty bag and purse for around 2 months now so I thought it was time to do a review. The bag came in a drawstring dust bag, my order came really well packaged and quickly too (from www.beadesaurus.co.uk). 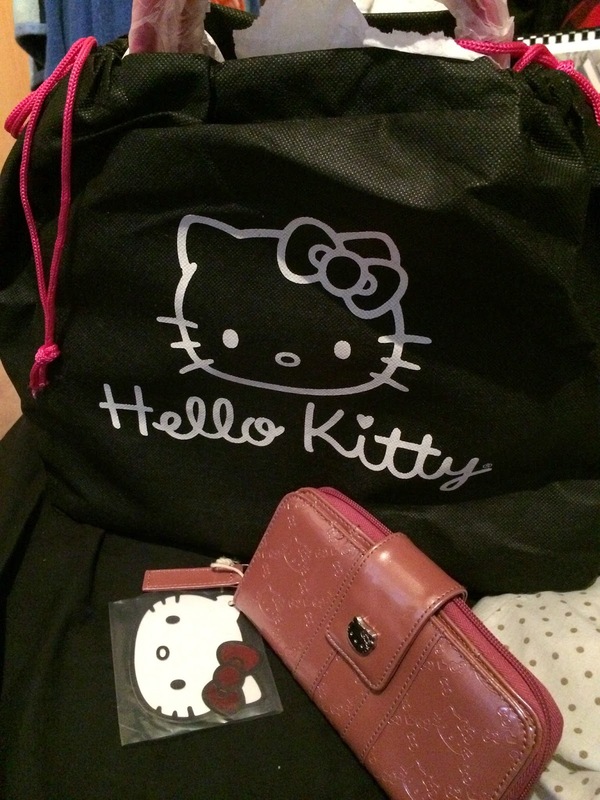 I picked up the Hello Kitty Embossed Monogram Bag in Bubblegum Pink. It's patent and has a large bow charm attached to it. It zips along the top and it has a zip compartment inside as well as some non-zip compartments. It is the large sized bag. 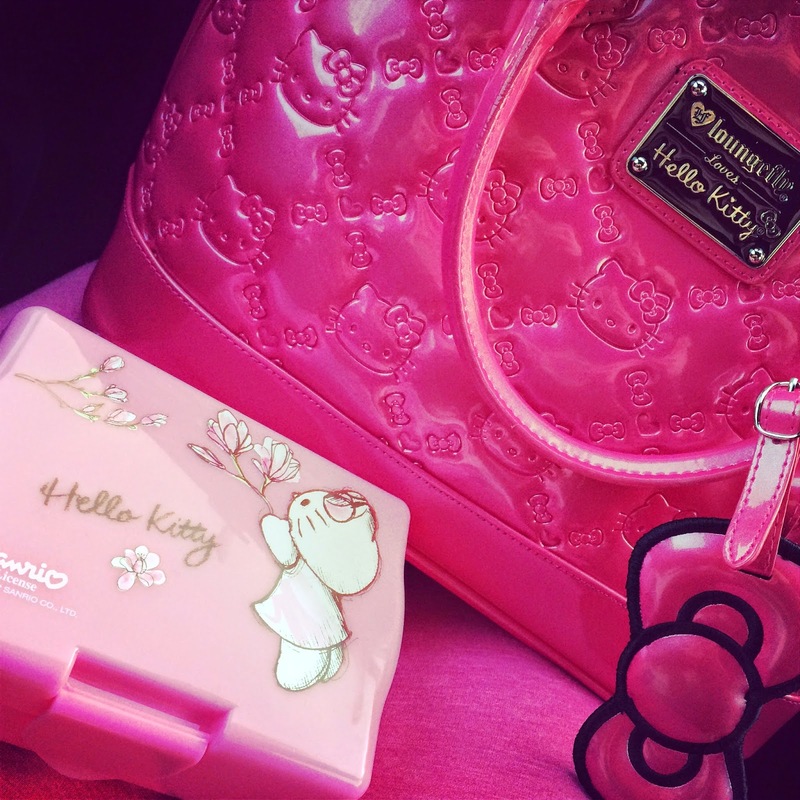 I got the purse in a different shade of pink as I thought the pearly pink purse was really cute. I have been using this bag daily for work, shopping and travelling. It is big enough to fit binders and notepads in, and it's definitely big enough for overnight stays. There has been no damage or wear to the bag whatsoever and I've sat on it, used it as an umbrella and crammed it with stuff all the time. It's totally okay to wear a pink bag with pink sweatpants.. I would really recommend getting one of these bags if you are considering it. I am planning to get the red one pretty soon, they really are beautiful bags. Also, these bags are vegan - they totally prove that vegan bags can be very durable and pretty too!